Along with colleagues from École Normale Supérieure de Lyon and the Francis Crick Institute London, the Hubrecht Institute scientists described how they applied the broadest and most direct definition of stem cell function in the mouse heart: the ability of a cell to replace lost tissue by cell division. In the heart, this means that any cell that can produce new heart muscle cells after a heart attack would be termed a cardiac stem cell. 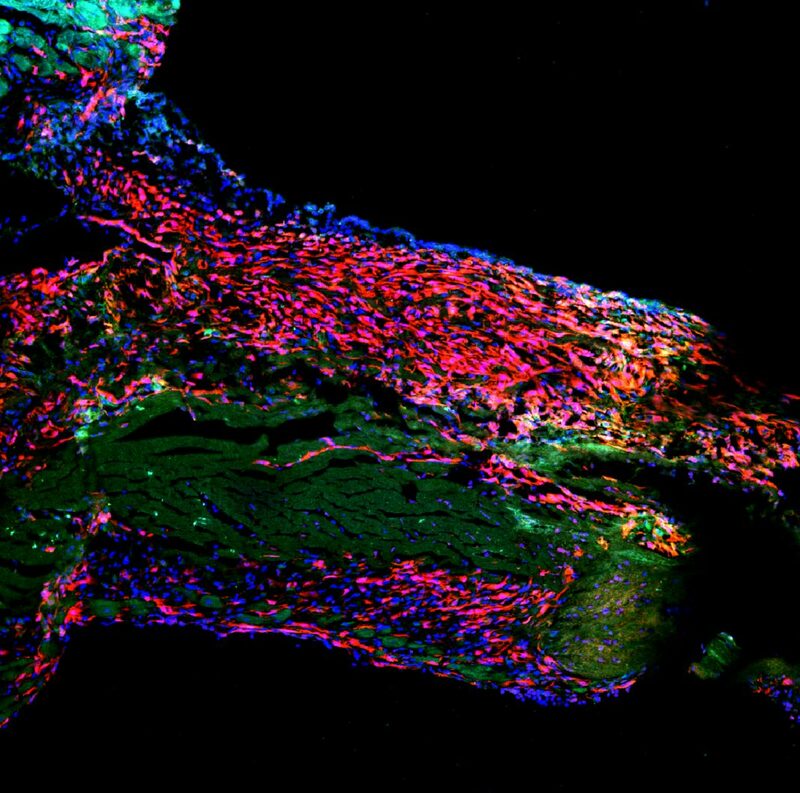 Most tissues of animals and humans contain stem cells that come to the rescue upon tissue damage: they rapidly produce large numbers of daughter cells to replace lost tissue cells. Cardiac tissues, however, appear to behave differently. According to the new study, the damaged heart incorporates many types of dividing cells, but none that are capable of generating new heart muscle. In fact, many of the “false leads” of past studies can now be explained: cells that were previously named cardiac stem cells now turn out to produce blood vessels or immune cells, but never heart muscle. Thus, the sobering conclusion is drawn that heart stem cells do not exist. While this scar tissue contains no muscle and thus does not contribute to the pump function of the heart, the fibrotic scar ‘holds together’ the infarcted area. Indeed, when the formation of the scar tissue is blocked, the mice succumb to acute cardiac rupture. Thus, while scar formation is generally seen as a negative outcome of myocardial infarction, the authors stress the importance of the formation of scar tissue for maintaining the integrity of the heart.